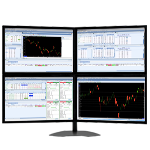 Personalise your dashboard and workspace to suit the way you trade as we recognise that there is no one-size-fits-all. 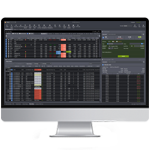 Depending on your workflow and individual preference as a trader, you can modify settings to disable order confirmation screen, set-up own fat-finger checks, customise PriceView to display in grid or tabular views, etc. Please note the following recommended and minimum requirements. Using the software on a system that falls below the recommended system requirements may result in less than optimal performance. 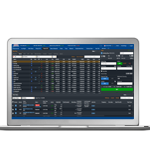 POEMS Mercury is an application-based advanced trading platform, designed for active traders like you. It is available to all existing POEMS customers. Download POEMS Mercury and install it on your computer. Your login details are the same as that used to log in for POEMS 2.0, POEMS Mobile or classic POEMS. No separate login details are required. Can I login with my 2FA (Two-Factor Authentication) OneKey token? Yes you can. For existing POEMS clients, proceed to login as usual with your 2FA OneKey or SMS OTP. For new POEMS clients, log in to POEMS 2.0 to register/activate your 2FA OneKey token. What are the assets tradable on POEMS Mercury? Can I view orders placed through POEMS Mercury on POEMS 2.0? You may only view/withdraw SGX Limit and Stop Limit day orders placed through POEMS Mercury on POEMS 2.0. Simply go to the ‘Order Status’ tab, under ‘Today’s Orders’. Likewise, the orders placed using POEMS 2.0 or POEMS Mobile will be reflected on POEMS Mercury. You may view and/or withdraw these orders using POEMS Mercury. However, for foreign markets, only working limit orders placed on POEMS Mercury will be shown on POEMS 2.0. For the advanced order types, it will be reflected in POEMS 2.0 only when the orders are completed. Can I withdraw my orders after placing them? You can, however, orders that have been processed (done) cannot be withdrawn. Can I amend my orders after placing them? You can decrease the quantity of order placed, with no change in queue priority. Applicable for SGX orders only. Which markets are currently available for trading on POEMS Mercury? What are the Order Types available on POEMS Mercury? What Order Validities are available on POEMS Mercury? 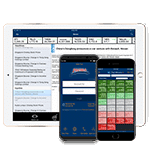 The order is only valid for the day that it is entered into the order book. Unexecuted orders will automatically expire at the end of the trading day. Clients can specify up to a maximum of 30 days for their orders to stay active. The orders will stay active until completed or cancelled. How many counters can I set in the Watchlists in POEMS Mercury? 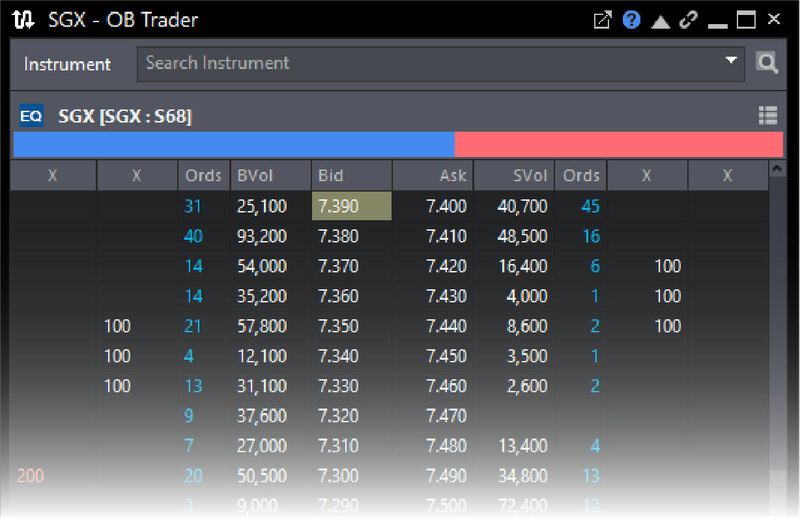 You can create 12 Watchlists with 50 counters per Watchlist. Why am I seeing delayed prices for the foreign markets? If you are receiving delayed prices for foreign markets, it is likely that your Phillip Account does not have live price access for the respective market. Simply log in to POEMS 2.0, go to ‘Rewards’ tab and select ‘New Rewards Subscription’ to subscribe. How do I get access to Market Depth for respective markets on POEMS Mercury? If your Phillip Account has an existing Market Depth subscription, you will be able to get access to the respective market's Market Depth via POEMS Mercury. If you do not have an existing Market Depth subscription, simply log in to POEMS 2.0, go to the ‘Rewards’ Tab and select ‘New Rewards Subscription’ to subscribe. A limit order is an order given by the client specifying a maximum buying price or minimum selling price, beyond which the order will not be executed. A limit buy order may be filled at the limit price or lower and a limit sell may be filled at the limit price or higher. Limit Order - Day A Limit Order (Day) is an order that is good during market trading hours of that day only. Unexecuted day limit order will automatically expire at the end of the trading day. A Stop-Limit Order combines the features of a stop order and a limit order. It requires a Trigger Price and a Limit Price to be specified. When the market price reaches the Trigger, the order becomes a limit order that will be executed at the Limit Price specified (or better). For all Stop Limit orders, customers are to ensure that their trading accounts have sufficient buy or sell trading limits to allow orders to be submitted when Stop Limit order’s triggering conditions are met, otherwise, order triggered may be rejected due to insufficient trading limit. Kindly note that a stop-limit order does not ensure your order will be fully executed when triggered. It could be done partially or not done at all depending on the current market price and liquidity of the market. Trigger Price must be above or equal to the last done price for buy stop-limit orders and below or equal the last done price for sell stop-limit orders. If the market is closed, closing price will be used as reference. What is a IF-Done Related Order? It is an order that is structured of two or more steps that must occur in a specified sequence. Only after the first step in the sequence is completed, then will the second step be activated. This related order can be used if you are unable to continuously monitor the market but want to participate in the market movements in your favour and/or exit a move against you. Currently only limit orders can be used for an IF-Done related order. IF-Done orders are available across all markets. IF-Done Order - Day An IF-Done Order (Day) is an order that will only be triggered during market trading hours. Once triggered, the limit order will be good for that day only. Unexecuted day limit order will automatically expire at the end of the trading day. Can I submit Buy or Sell orders of more than 1,000,000 quantity in POEMS Mercury? Yes. Simply go to Settings > Select Trade > Trading Limit > Edit the “Max Buy Qty/Max Sell Qty” for the selected product(s) > Enter in your POEMS password > Click on Apply.